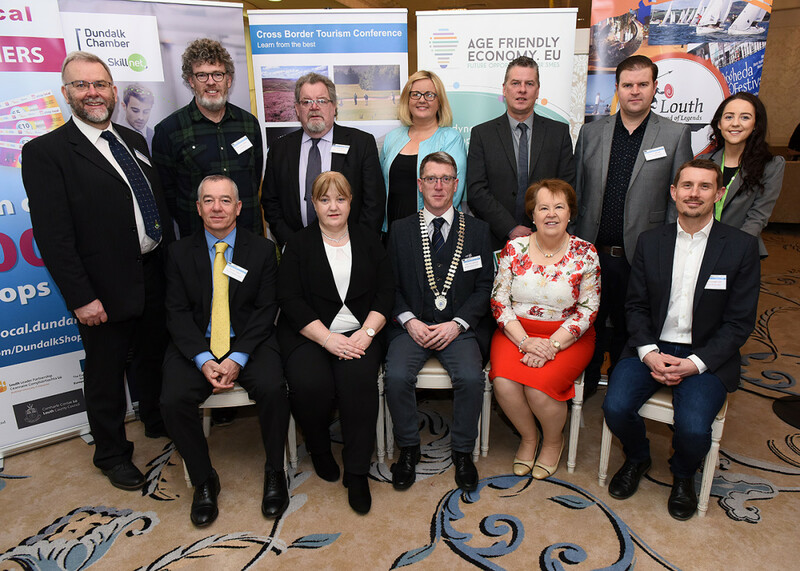 Dundalk Chamber of Commerce hosted a major Cross Border Tourism Conference in the beautiful Four Seasons Hotel Carlingford on the 10th April. Over 150 delegates from all over Ireland attended the event and over 35 companies showcased their products and services. The conference which was sponsored by Louth Leader Partnership, The Local Enterprise Office Louth, The Marshes Shopping Centre and Louth County Council was a great networking opportunity for the tourism sector as well as being a great learning experience also with a number of workshops taking place on the day. The event brought expert speakers together from various tourism projects from around Ireland and the UK. The speakers were leaders in their field of tourism provision, and they gave an overview of their own tourism success stories, and suggested to the delegates that they too could emulate their success, and create a format to revitalise their own tourism offering. The event gave practical tips to delegates on how to improve their tourism business so that they could increase their sales and boost attendance figures at their attraction! Michael Collins from Travel Media discussed Digital Marketing in 2019, from chat bots, email marketing, SEO, SEM, PPC, content marketing and automation – everything you needed to know. Padraig Philbin of Mayo County Council spoke about the “The Great Western Greenway – practical example – lessons learned”. Simon Wilson Business Manager from the North Pennines AONB in Whales spoke about “Developing visitor ready sustainable tourism products”. Grainne McKeown spoke about the growth of the Boyne Valley Flavours which covers both Louth and Meath. Muireann Fitzmaurice CEO of Marketing Coach ran a work shop on “A practical guide on how to get more tourism customers”. Pól Ó Conghaile – Travel Editor with the Irish Independent discussed the “10 truths in Travel”. President of Dundalk Chamber Pat McCormick was delighted with the superb line up of speakers and mentioned it was a great opportunity for the tourism and hospitality providers to network.